The open designed for easy access to the working area and movement of marking objects. Sturdy & rugged designed M.S. Structure for years of operation. Auto head adjustment for positioning samples. Standard Joystick for easy operation. 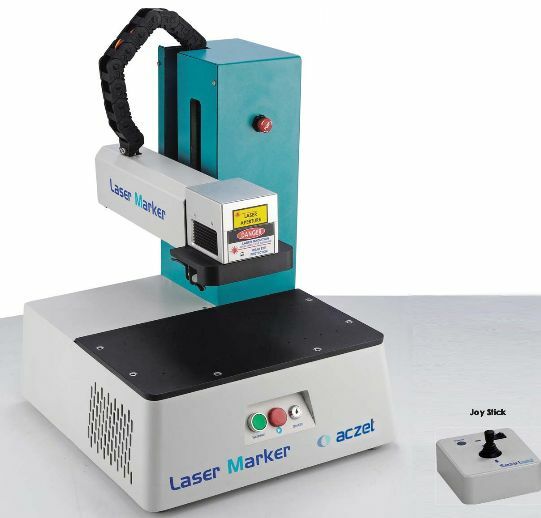 The “OPEN” Laser Marker is able to meet the highest standards of quality set by the most renowned producers of highend jewellery. It is perfect for engraving all types of precious and semi-precious metals, steel, titanium and many other materials, metallic and non.